Foreign individuals can obtain citizenship under sub-section (5) of Section 3 of the Saint Christopher and Nevis Citizenship Act, 1984 (No.1 of 1984), of the Federation of St. Christopher (St. Kitts) and Nevis (“Federation”) which stipulates that a person is entitled, upon making application to the Minister in the prescribed manner and upon payment of any fee that may be prescribed, to be registered as a citizen of the Federation without any rights of voting save under and in accordance with the provisions of any law governing the qualification of voters, if Cabinet is satisfied that such person has invested substantially in the Federation. 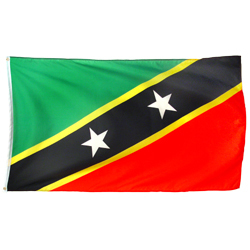 Citizens of St. Kitts & Nevis are allowed to hold dual citizenship. When you acquire citizenship under the St. Kitts & Nevis citizenship program, you and your family enjoy full citizenship. As citizens of St. Kitts & Nevis, you and your family are issued with passports which allow visa-free travel to more than 60 countries worldwide. Of course you have the right to take up residence in St. Kitts & Nevis at any time and for any length of time. You are not liable for taxation, even if you decide to reside in St. Kitts & Nevis, as there are no direct taxes whatsoever. (1) Authorised persons must first register with the Citizenship by Investment Unit and pay a fee of five thousand United States Dollars (USD 5,000.00) before they are allowed to file applications with the Unit. Fees are payable prior to January 31st of each year commencing in 2012. (iv) Fifty thousand United States Dollars (USD $50,000.00) for each qualified dependent of the main applicant above the age of eighteen years, other than his or her spouse. 2. The minimum real estate investment required, is US$400,000.00 for each main applicant. Two or more applicants may apply for citizenship by investment, together by purchasing one piece of real estate provided that each main applicant contributes the minimum investment of US$400,000.00 towards the investment. Please note that you will be responsible for any legal costs or attorney fees in addition to the fees stated above. Every citizenship application must be made on the prescribed form which must be submitted together with various documents relating to the applicant’s identity, civil status, criminal record, financial resources, and health. All documents must be in English or translated into English, and all photocopies of any document submitted must be notarised and properly certified. • Photograph and Signature Certificate (Form C2). • Medical Certificate (Form C3) including original results of an HIV test (an HIV test is required for all persons applying for citizenship, including children). The HIV test results must be not older than 3 months. • Certified copy of your current passport(s) showing name, photo, citizenship/nationality, date and place of issue, expiry date, passport number and issuing country. • Certified copy of your current national identity card(s). • Six original passport-size photos of yourself taken within the past 6 months. • Original excerpt of full birth record or certified copy of full birth certificate (i.e. a birth document that also includes your parent’s details, or a household register, family book etc.). • Original police certificate(s) from country of citizenship (unless you can provide satisfactory evidence that you have never lived there) and from any country where you have lived more than 1 year over the past 10 years. Police certificates must be less than six months old at the time you lodge your application. • Investment Confirmation / Escrow Agreement (Form C4-S or C4-R) and confirmation of funds having been wired to an escrow account. Also, in the case of Form C4-R, a copy of the executed real-estate contract. • One original bank reference letter issued by an internationally recognized bank, not older than 6 months. • One original professional reference (e.g. from an attorney, notary public, chartered accountant or other professional of similar standing), not older than 6 months. • Original excerpt of marriage record or certified copy of marriage certificate(s) (if applicable). • Certified copy of divorce document(s) (if applicable). The above is given for general information purposes only since Government may change minimum investment requirements and fees at any time. This entry was posted in Buying advice, News, Various Articles on St Kitts and Nevis property and tagged east caribbean dollars, Economic citizenship, houses for sale, Nevis, nevis real estate, St Kitts, st kitts real estate, taxation. Bookmark the permalink.